If there is such a thing as a superstar in Americana music, then right now, Jason Isbell is it. What we very well may be witnessing is a songwriting legend in the making. He’s the songwriter that in the future songwriter-philes will hearken back to as proof of how the craft is lost. He’s the guy right now making sure that it isn’t. He is the Townes Van Zandt or Guy Clark of our time. So savor these moments, and feel blessed that you’re getting to live them in their original era, because they’re the ones future generations will look back on with fondness, and envy. Jason Isbell has always been one of those generation-defining musical talents, dating back to his time with The Drive By Truckers and the start of his solo career in 2007. What we never foresaw when he was putting out songs like “In A Razor Town” was that Isbell was only going to get better over time. Isbell’s last album Here We Rest was a solid effort without a bad track, but boiled down it was mostly the tale of two high caliber songs, “Codeine” and “Alabama Pines,” and both relied just as much on melody as cutting lyrics. On Southeastern Isbell goes right for the gut with an elegiac knife, thrusting and stabbing in a morose and unrelenting ritual of emotional evocation. Southeastern is downright suffocating in spots in its weight. It is bold, and merciless in how in preys on the faint-of heart, and can make a faint-of-heart out of even the most devout Stoics. “Elephant” is just downright unfair. Though this trend of token Cancer songs dotting nearly every country album released in the past few years is alarming, Isbell’s offering is far from a saccharine and sappy vie for radio play. It is a complete deconstruction and compromising of the emotional guards protecting a listener’s heart told in shockingly-real language, allowing the chemicals of empathetic response to run pure. Once again “Songs She Sang in the Shower” shows off what may be Isbell’s best songwriting attribute: his ability to spy specificities in life that will speak to us all universally and put us back in a place where we can reconnect with the emotions of a very personal moment. The unexpected “Super 8” and its rocking, basement band approach might be easy to pick on as Southeastern‘s misstep because it is such a departure from the mood. But any sins are atoned for simply by the strength of the writing. This is one of those albums you could create a small catalog of T shirts and bumper stickers of pulled lines from, both of the witty and wisdom-filled persuasion. And the album is refreshingly quick, lean and deft. It’s potent enough that it doesn’t need additional content to keep you entertained for longer because even when you walk away from it, the songs are still playing in your head, and the emotions it conjures are still ripe. The educated, informed music listener these days is blessed with an unbelievable bounty of talent to entice the ears and revitalize the spirit. It’s not that you can’t find songwriters that could be measured as Isbell’s peer. It’s that Isbell is the full package. His management team is unparalleled, and he is proving that you don’t need the traditional music industry infrastructure to enact a successful release. Jason Isebll isn’t just a great songwriter, he’s a great songwriter that is finding a way to people’s ears. He is the poster boy for the new paradigm in music where an independent artist can rise to rival industry talent. And whoever said that sobriety was the pathway to bad music? If Southeastern is any indication, Isbell’s recent recovery has only purified his musical Tao. Completely unfair Isbell, completely unfair. And selfish too. You should have saved some of these songs for others. Might very well be the record of the year. Whoa. This must be some album, as I know you wouldn’t say that lightly. Also, I remember how similar comparisons of Hayes Carll to those greats rankled you a little. I got this album yesterday, along with the Sturgill Simpson album. I decided to listen to Sturgill’s album first, just because I’ve been so looking forward to having it in my hot little hands for so long. After enjoying it the first time, I decided to play it again, as I thought maybe I wasn’t in the right frame of mind for Southeastern. Sounds like it was a good move. I have an appontment with it tonight. Let me just clarify before I get someone mad for comparing Isbell to Townes or Clark. I’m simply saying that he is our present-day equivalent of these guys. I’m not saying he’s as good or better than them necessarily. In the end he might be, but there’s plenty of cards left to fall before we can determine that. Guy Clark and Jason Isbell are 35 years apart in age. A generation is generally considered 25 years. They are part of different generations, that’s all I am saying. I’m not saying Guy Clark is washed up or anything like that. I thought it was a compliment to both men. This album was waiting for me at home the day after it was released. I was fortunate to have a quiet evening at home that night to listen to it, which is just what this album deserves. It is outstanding. I played it 3 or 4 times one right after the other; it will break your heart, but in a good way. Try to imagine any o,f these songs on the radio–I did, and my brain just would not go there–it would never happen. Lucky me–I get to see him in concert next week! Album of the Year so far and I’m not sure it’s even a close contest in my book. I think that while the uptempo songs are a bit of a departure, they serve as a breather, a little rest for your guts, before sucking you right back in. And I say this as a guy that wasn’t really that into Isbell before this album. Isbell has always made albums with great songs. Now he has made a great album. Not to mention songs he wrote when he was with DBT. He definitely wrote a few of their all time best. Hell yes. John is incapable of writing a bad song. i came back and pulled this article up to specifically ask that question. i have all the dbt albums and patterson hood solo stuff, but no isbell. which album would you (or anyone else, for that matter) recommend aside from his latest? Beyond recommending “Southeastern” first, I would probably recommend “Here We Rest,” then “Sirens of the Ditch,” and then “Jason Isbell & the 400 Unit.” However I will say I don’t consider myself a Jason Isbell expert like some of the commenters on this thread are. I was hoping they would pipe up to answer your question ;). I’m not an expert, but I have played the hell out of his albums. I don’t disagree with your answer. You really can’t go wrong as far as I’m concerned. I would probably point someone to his live album for their second acquisition though, just because it’s got such a variety. I’ve been on board with his solo career from beginning, as some of my favorite DBT songs are his. I would say that Southeastern is the great album a lot of us have been waiting for. I think Here We Rest is the turning point in his career and definitely #2 in my list. I think Sirens of the Ditch and the Jason Isbell and the 400 unit are very different albums. Both worth having, but different. I think the former is more accessible, but more of a hodge podge collection of songs. I think it might have been recorded over a longer period, as he was still with the Truckers. Patterson Hood is the producer. Jason Isbell and the 400 Unit is a more cohesive album. Probably the least accessible of his albums, but a grower. One thing initially frustrating about the album from a DBT fan perspective was that there wasn’t much of any lead guitar on it at all. There was a little more on Here We Rest, but not much. That seems to be a conscious decision of his in favor of focusing on the songwriting. Start with DBT’s “Decoration Day” album. For Jason’s DBT days”¦. He was with them for 3 albums: Decoration Day, for which he wrote the Title track (about 3 days after joining the band according to Patterson Hood) and of course Jason’s own anthem “Outfit” After that “The Dirty South” (My personal favorite of the Truckers) features 4 Isbell songs; “The Day John Henry Died” “Danko/Manuel” “Never Gonna Change” and “Goddamned Lonely Love”. A Blessing and a Curse features 2 of Jason’s songs (Easy on Yourself” and “Daylight”) and was sort of the departure record for him. I am a long time die hard Drive-By Truckers fan and this whole thing just puts a big smile on my face. I’ve been on Jason’s bandwagon for years, since the DBT days, most of my favorite tunes by them were Jason’s cuts. Outfit, Never Gonna Change, Goddamn Lonely Love, Danko/Manuel, on and on. I got a little pissed when the guy from the New York Times interviewed him and called his past solo albums, “mediocre”. As compared to what? It’s not surprise on this album that Ryan Adams started out being the producer, you can hear it on a bunch of tracks. “Elephant” for example is closely related to Adams’, “September”. My personal favorite attack of Isbell’s is when he breaks into his “story telling” mode. I think that’s why my favorite track so far is, “Yvette”. The story of a young boy who’s about to remedy a sexual abuse situation between one of his female classmates and her father. “I sight in my scope, I hope against hope”. I agree, one of the greatest songwriters out there. I go see him every chance I get when he plays in his newly adopted town here in Nashville, and now I see he’s playing the Ryman! In my book, he’s made it at that point. Of course as Jason would say, “where the drunks all think we’ve made it, and the girls all twist and shake it like they do”. I wouldn’t call his previous albums mediocre by any stretch, but I struggled to call them great albums. They were albums that had some great songs if that makes sense. This is what I would call a great album. Is he still trying to say Dierks Bentley ripped off “In A Razor Town”. I will say I was contacted by a legal representative of Dierks when I made a passing comment about it in another article. I was informed that there was no more dispute over the song. I read (I think maybe in the recent NYT article but I am too lazy to look it up) that he got legal advice that the songs were not similar enough for a lawsuit. Pretty much what Trigger and other bloggers was saying: close, maybe even plagiarized, but not close enough. It also mentioned that the original tweet accusing Bentley as made under the influence, so sobering up is also a factor here. Did I miss something or is Guy Clark no longer the Guy Clark of our time? While I like “Outfit,” “Decoration Day,” “Never Gonna Change,” and “Alabama Pines” more as individual songs than any of the songs in this record, this is definitely his best complete piece of work, he is on point. The mainstream success of the Avetts and Mumford could potentially spill over to Isbell, but I think he’ll do just fine whether or not he gets mainstream recognition. And he’s outselling FGL and Blake on Amazon best seller list. Maybe all is not lost. Hope he had some influence on his wife’s album that’s coming out later this year. His Live From Alabama is a great album. Good review. I agree this is his best album. As some people mentioned, Isbell got sober about 18 months ago. It’s worth considering when people suggest that getting sober kills creativity or something like that. On the Townes Van Zandt note, I watched a documentary about him, and they interviewed his son who made the point that most of his best songs were written when he was relatively not fucked up. I would say that with this album, he’s vaulted himself into the top tier of Americana artists. if I were to identify an Americana superstar, I would have to go with Patty Griffin. Then, Gillian Welch/David Rawlings. Personally, I’m not yet prepared to say that this one is better than Patty Griffin’s recent release (American Kid). This one, Patty’s new one and Richard Thompson’s Electric would be my three favorites so far. My second group would be the new ones from Jimbo Mathus, Caitlin Rose, Holly Williams, and Daniel Romano. Of course, I haven’t heard all of this John Moreland album that so many people are positively gushing about. 😉 Ordered it yesterday. I gotta say, I’m clearly in the minority when it comes to Jason Isbell, but I guess I also am with Wilco and Sunvolt too, which he very much reminds me of. I can’t get past the sonic style enough to appreciate the lyrics. By the way I’m a huge TVZ and Guy Clark fan. Isbell just doesn’t strike a chord with me. Maybe someday he will. LOL, no words. This song is begging for a rant article, God dammit, Diffie. I don’t find that sentiment unusual. 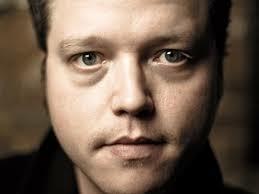 Jason Isbell comes from a different world compared to Sturgill Simpson or Eric Strickland. They are hard country, and Isbell is pure Americana. Two different worlds, still off the same roots tree, but it’s not surprising some would care for one but not the other. Agreed. One thing I don’t understand is I have listened to and enjoyed TVZ and Guy Clark since my high school days. ok, a few years later, came to listen to this album again….. boy have my tastes changed. Not sure what I was thinking about and hearing the first time round. I sure like this sorrow drenched album now. This site has really influenced the music I listen to. Great listen, but definitely would benefit from a calm quiet time to really absorb the lyrics. Not to be all hi-highfalutin’, but this is not something you can really appreciate just driving around or doing whatever with an ipod going. Catch can, you won’t regret it. How can we get him some radio time? 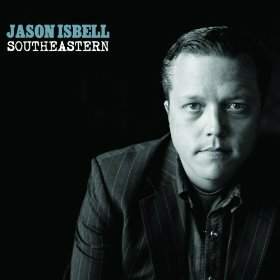 Saw today via a Jason Isbell tweet posted to Facebook that Southeastern debuted at #23 on the Billboard 200. In comparison, Patty Griffin’s Amercian Kid peaked at 36. Also, it looks like he’s about to sell out his first ever show at the Birchmere (capacity 550 – got my ticket) in Alexandria, VA. And that’s with a band I never heard of (Widowspeak) opening for him. That’s my DC area metric for big time Americana. I love this album. It’s not music that’s appropriate for every occasion because it needs to really be listened to, to be most appreciated. Elephant is almost too much, it’s so real that its really heavy. I love his songwriting style that is so intimate and direct but still sounds good to the ear in a poetic way as well. In my mind he is one of the best songwriters out there – I really liked your songwriters blog a while back too. There’s nothing like that feeling of taking a chance on something recommended for you, and, relishing the rewards. At the risk of over-cooking the hype, I must say this is the first record to grab me like this for quite awhile. With every listen, charms of another song reveal themselves to me. Like all great writers, Isbell makes it sound easy. But, as anyone who has tried will tell you, it sure as hell isn’t easy to write this well. His hard work is paying off, for him and us ! At this point, Isbell evokes a young Steve Earle, who was welcomed into the elite ranks of Guy and Townes and treated as a peer. So, fair enough. I picked up the live 400 Unit album and loved it. I’ve since picked up the rest of his offerings, but I wouldn’t put the live album down as far as 4th. I just got back from a sold out acoustic gig in London with Jason and Amanda Shires. You really do have to see him live to appreciate the emotion he can put into his songs. The songs are great on record but the live performance takes them to a different dimension. For me, he is THE outstanding singer/songwriter of the moment (male). What a great voice! And his wife ain’t bad either!